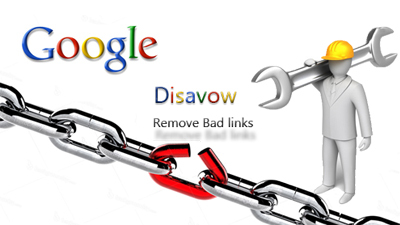 Google has launched a new, creative, much-predictable and long awaited disavow links tool for webmasters. And the mix reaction is shown by the people of industry. Matt Cutts announced this webmasters tool at PubCon with a detailed list regarding its functionality. Basically, this tool is designed in the wake of penguin for the help of webmasters and that report Google about undesirable inbound links. After the release of Google penguin updates in April, 2012, SEOs recognized that Penguin penalties were based on inbound link profiles. This reorganization moved the whole industry to link removal campaigns. In few months, link removal became a new SEO link building technique and webmasters spent more time to remove links and compile their backlink profiles. Clients were increasing the pressure on webmasters to remove their links. In many cases, it was necessary to remove bad backlinks to get the rankings back in Google search engine results. 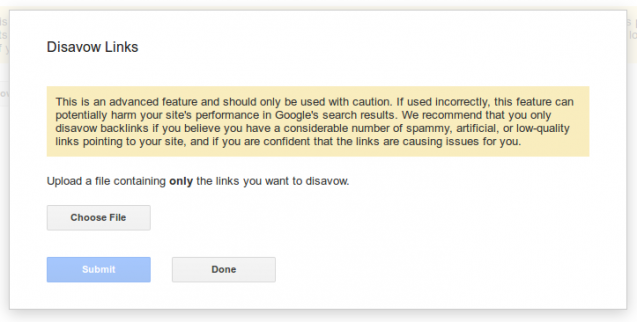 After the launch of Google’s disavow links tool, the link removal campaigns have come to an end. 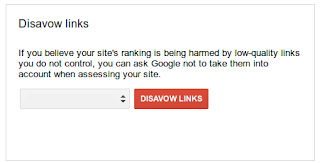 Google Disavow Links Tool is open with a large warning, “only use when you are fully confident about your links otherwise this feature can potentially harm your site’s ranking in SERPs”. It’s quite hard to determine how extensive the penalty of algorithm updates can be, but when you see some regular warnings, it’s probably need quick solution. After clicking on “Disavow Links” you will be prompted to a new window to upload a text file. Your text file just contains the links list that tells Google which URLs or domains you want in disavow list for your website. And of course yes, you need to create a text file yourself. 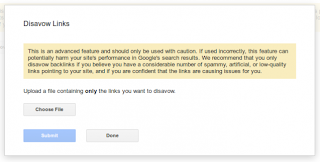 You can either ignore the links from a particular domain or simply disavow the links from the pages of a website. Once you upload a link file, it could take few weeks to identify and apply the changes. For webmasters, it takes some time, but it is an important and logical step for Google.